A warm, relaxing bath has been a staple of comfort for centuries. The ancient Greek, Roman and Egyptian cultures all have recorded histories of using baths for both hygienic and healing purposes. The Greeks are credited with being the first civilization to utilize the healing properties of herbs in their bathing rituals. Greek steam baths, known as Laconia infused leaves of Bay Laurel, Fir, Pine, and Juniper to help promote wellness. Ancient Roman baths had an advanced three part system of differently tempered baths. The first step of a Roman bath was the Tepidarium, which was a warm bath designed to open the pores gradually. The next step was the Caldarium, where the temperature was elevated to 100 degrees Fahrenheit to relax and detoxify the body. The final and third step was the Frigidarium, which was a cold water bath thought to close the pores and complete the detoxification process. Baths have been used for thousands of years to evoke healing benefits and comfort. But in today’s current age, there is a great deal of misinformation on how to properly use bathing as a therapeutic option. There are many additives such as essential oils, herbs, flower essences and minerals that can be added to your bath to help you find natural remedies for multiple ailments. Be sure you are using 100% pure ingredients when you soak in a bath. Impure products can increase the toxins that are absorbed into your body during a soak. Only use pure Epson salts, herbs and therapeutic grade essential oils that are not mixed with other ingredients. It is recommended you soak for at least 15 minutes but no longer than 30 minutes per therapeutic bath session. It is also recommended that you drink at least an 8oz glass of pure water before and after your soak to prevent dehydration. Uses: To naturally cleanse the body to help prevent infections. Uses: To naturally soothe inflammation and discomfort. Uses: To naturally soothe sensitive or dry skin. Uses: To naturally promote energy. Uses: To naturally bring your body to a more alkaline status. Uses: To naturally help your body remove toxins. Precaution: Do not exceed more than 2 detox baths per 7 days. Uses: To naturally boost your immunity if you have been exposed to germs/infection/flu/colds within the previous 24-48 hours. Uses: To naturally treat pain from issues such as: Arthritis, Bursitis, Fibromyalgia, Back pain, Muscle Inflammation and Tension. Uses: To naturally induce sleep and relaxation. Uses: To naturally soothe pain after a workout session. Precaution: Do not use without first consulting your healthcare provider, especially if you have kidney issues. Uses: To naturally promote a happy, stable mood. Uses: To naturally relieve congestion from colds, sinus pressure and chest congestion. Uses: To naturally relieve menstrual pain, cramping and PMS symptoms. Uses: To naturally moisturize dry skin. Precaution: Oils will make your bathtub slippery. Enter and exit your bathtub with caution to prevent falls or injury. Uses: To naturally detoxify the body. Precaution: Do not exceed one heavy metal detox bath per 7 days. 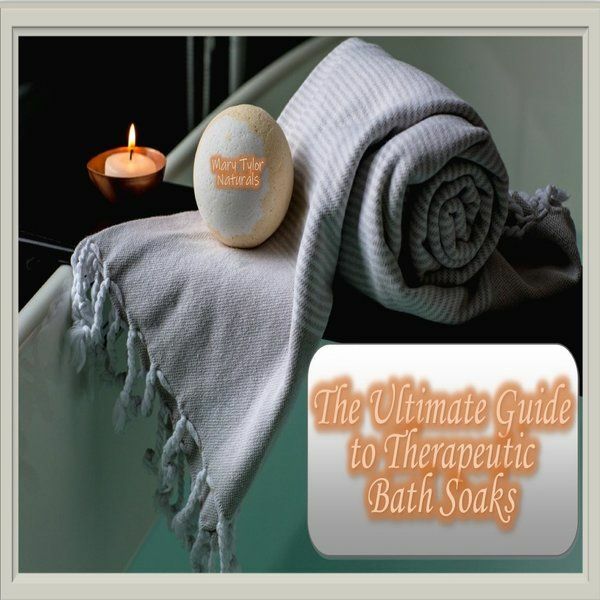 These therapeutic bath suggestions are not intended to replace medical care. Do not start or stop any treatment without first contacting your healthcare provider.